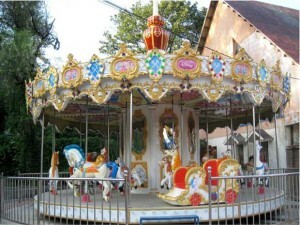 How Much is a Carousel? Size is an important factor. 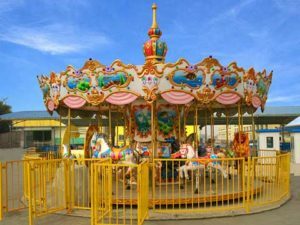 If the size is small, the carousel will cheap. 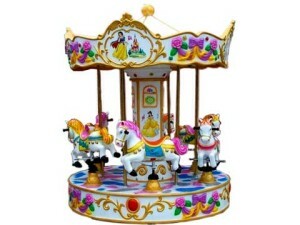 Decorations affect the cost, some of the carousel are simple while others are grand, music box, and led lights will need extra fee. Drive mode, there are mainly two types of drive mode, one is under drive and the other one is the top drive. 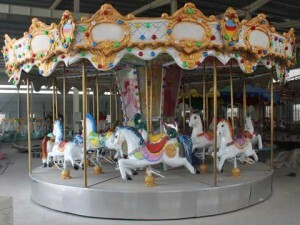 Cost of top drive carousel is expensive than the under drive carousel. They will give passengers a better experience. Quality painting will give passenger a better experience, fadeless and good-looking. 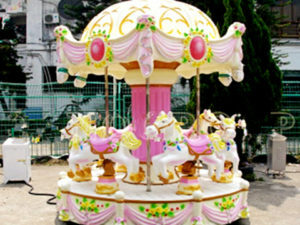 Modeling, carousel as one of the most popular amusement park ride, has lots of models, different appearance and themes makes carousel market wider. 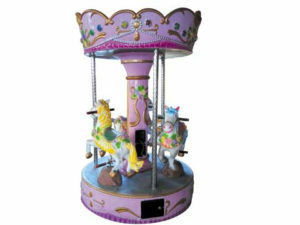 Scale of the Manufacturer, carousel rides from large manufacturer maybe expensive than the carousel from small manufacturer, because large manufacturer will give you more guarantees and more quality rides and more choices. 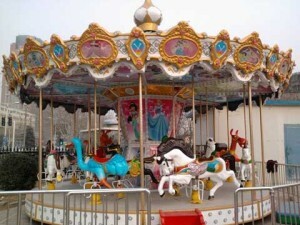 Top drive carousel is solid but under drive carousel is easy to dissemble and cheap to buy. 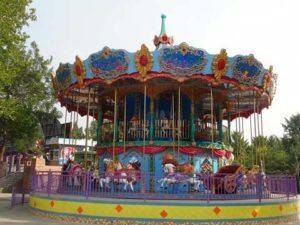 When you need to purchase carousel for your business, think where you will place these ride and what your budget is, then you will have a better purchasing plan. 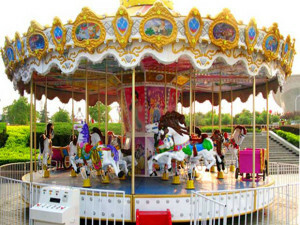 Beston Amusement here will provide you lots of models and free amusement park or amusement rides business design. Feel free to contact us.